Isn't it strange? Lego has spent the last few decades teaching children how to use their brain just by letting them play. By snapping those magical little bricks together, kids get to bring the pictures in their head to life. They can make abstract art, or they can become avant-garde little architects using them. The unassuming toy effectively shows youngsters how to think outside of the box. What's so strange about that? Well, the strange part about it is that most Legos are shaped like a box, oddly enough. Well, maybe it's time to think outside the box on other things too! You can apply that same line of thinking to costumes this year. Instead of transforming your child into a pirate, or a knight (the two most common Lego mini-figures), you could turn your child into something a little more creative. You can dress your child up as infinite possibilities! That's exactly what this Lego Brick costume for kids is all about. Now your child can become the building block of a fun time. 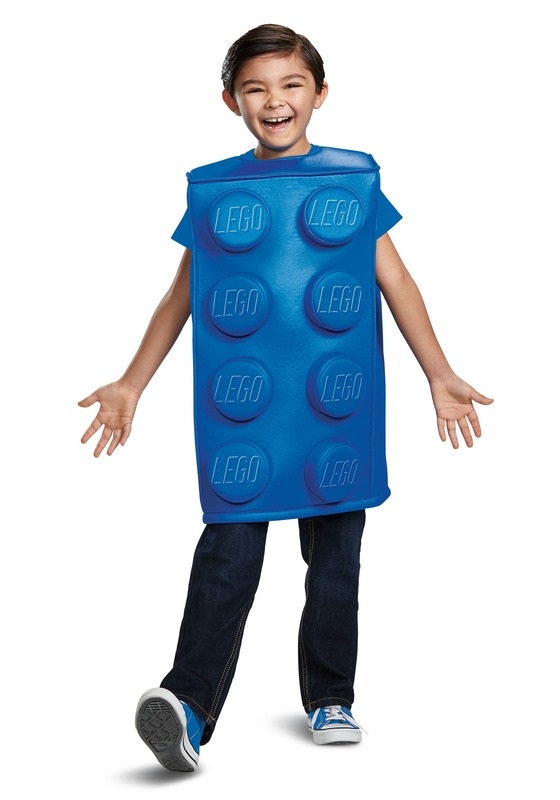 This child Lego costume transforms your child to the iconic Lego brick. It comes with a foam tunic-style top that's shaped like the classic 2 by 4 piece. It has printed studs in the front, along with openings in the top and along the sides for your child's arms. Of course, the best part about this costume is that your child can wear his or her favorite clothes on underneath, so changing in and out of this costume will be a breeze. Were you a Lego fan as a kid, too? Well then, you're in luck! 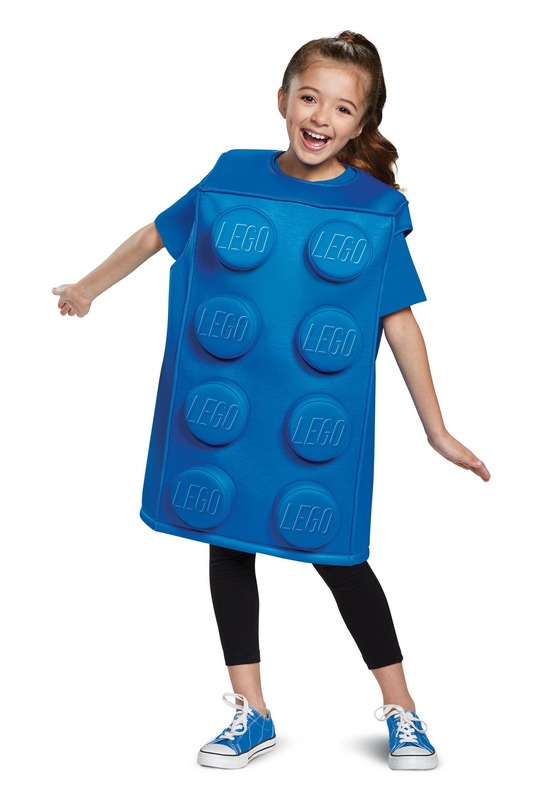 You can join your child in one of our adult Lego costumes. Then, you can be the duo that represents thinking outside the box. It might even help "build" a stronger bond with your child by dressing up as your favorite toy together.